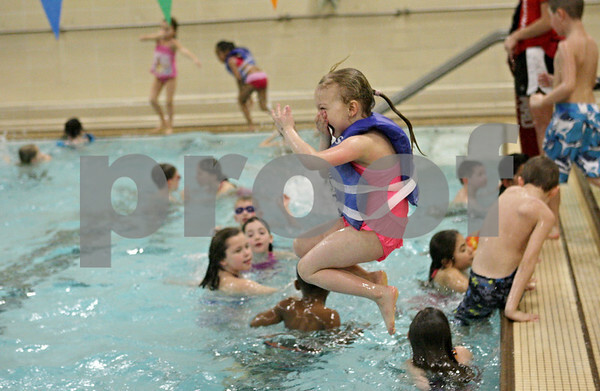 MacKenzie Ferguson of Southeast Elementary in Sycamore jumps into a pool at the Kishwaukee Family YMCA in Sycamore, Ill., Friday, March 22, 2013. Ferguson is part of the OSCAR program, or out of school care program, which involves a partnership between Sycamore schools and the YMCA. Sycamore schools started their spring break on Friday and will return for class on Monday, April 1.